2 Israeli Candidates Struggle With Nation's Uncertain Future : Parallels The women, running for the Israeli parliament, share little beyond that concern. One sees a two-state solution as hopeless and supports West Bank settlers. The other sees them as an obstacle to peace. While traveling in Israel this month, we asked several Israelis if they worried about the future of their country. "Of course I'm concerned," answered Stav Shaffir. "We're threatened from all over," said Anat Roth. Both women are candidates for Israel's Knesset, or parliament, in Tuesday's election. They have a common concern about their country's future — its conflict with Palestinians, its relations with the rest of the world — that has driven them to vastly different political positions. Shaffir, 29, is considered a rising star in the left-leaning Labor Party. She favors peace talks with the Palestinians, and rose to prominence by investigating the finances of Israeli settlements in Palestinian territories. Roth, 40, also once leaned to the left — until an experience transformed her politics. She is now a candidate for the Jewish Home Party, which advocates denying Palestinians a state and annexing most of the land Israel's army has occupied since the 1967 Mideast war. We met Roth at an outdoor cafe in an upscale neighborhood in Jerusalem, right across the street from the residence of Prime Minister Benjamin Netanyahu. Roth has lived here all her life. 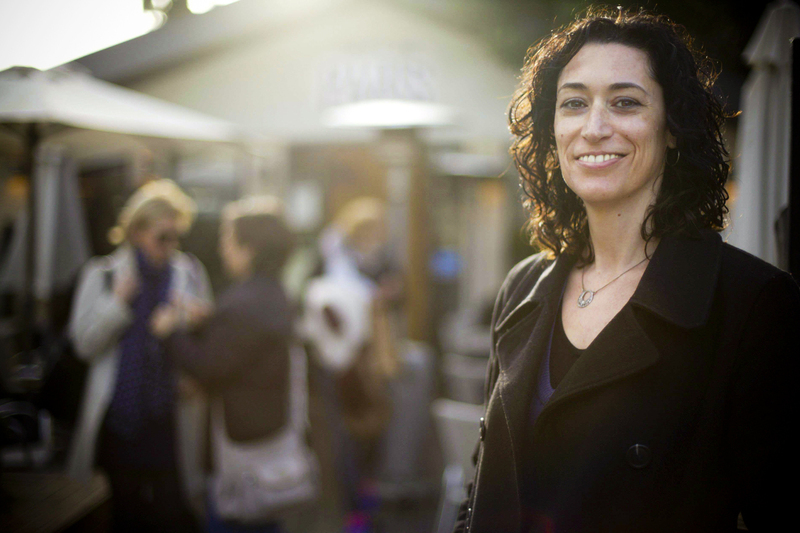 Anat Roth, 40, is a candidate for the Jewish Home Party. Roth once was more left-leaning, but has come to believe that a two-state solution is impossible because of Palestinian demands. A different restaurant used to occupy the little wedge of land where we sat; it closed after a Palestinian set off a bomb here in 2002, killing 11 people. That was during the second intifada, when Palestinians rose up against Israeli control. "I live down the street. I was meant to be here, but I had something to do," she says, adding that such bombings were "routine — it was every week, at least once every week, all the time." That period of violence was part of Anat Roth's long, slow political evolution. The starting point was 20 years ago, when Israeli Prime Minister Yitzhak Rabin was working toward an agreement with the Palestinians. He was killed in 1995 by a Jewish extremist, and young Anat Roth joined the thousands of mourners who flocked to the square where it happened. She went on to become an activist, seeking a deal with the Palestinians: land for peace. She worked in the government of Ehud Barak, a left-leaning Labor prime minister who tried but couldn't quite reach that agreement. Gradually Roth's opinions shifted far to the right. She told us one of her key assumptions about Palestinians turned out to be wrong. "We believed there are two kinds of Palestinians," she said, "the moderate and the extremists." Now she believes all Palestinians seek not a state beside Israel, but a state that would replace all of Israel. Years of inconclusive negotiations led Roth to conclude a two-state solution is hopeless. "We cannot offer them what they want," she said. "They will stay unhappy." Something else also altered Roth's views: as an academic, she spent time studying Jewish settlers who once occupied land in the Gaza Strip. Roth came to admire them, and they persuaded her to become more religious. The party she now represents favors annexing most of the West Bank — rural areas designated "Area C" under full Israeli control — and granting Israeli citizenship to the few Palestinians living there. The bulk of Palestinians would lie outside this expanded Israel, their future uncertain. That uncertainty is part of what worries Stav Shaffir. With her curly red hair, she was easy to spot as she pushed her bike up a path toward the cafe. 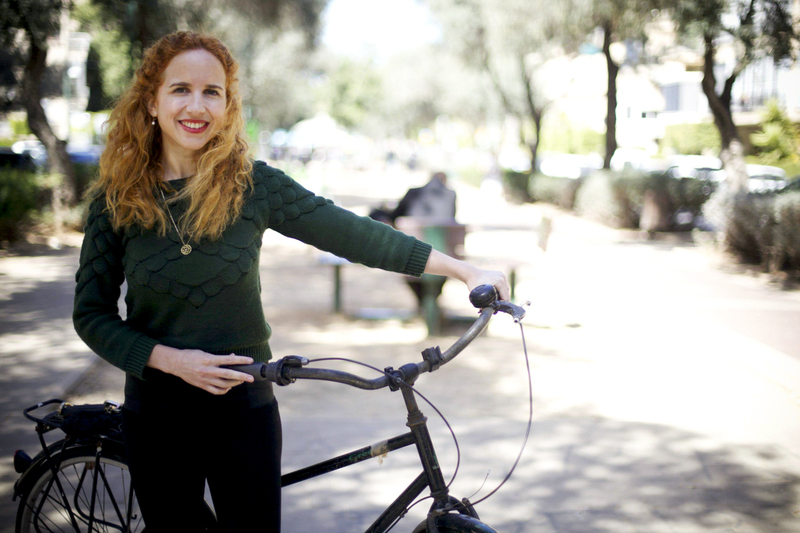 Stav Shaffir, 29, is considered a rising star in the left-leaning Labor Party. She rose to prominence through crowd-sourced investigations of the Israeli government's funding of West Bank settlements. Tel Aviv is miles from the West Bank hilltops where Israeli settlers have moved in among Palestinians, yet Shaffir sees an economic link between them: She says the settlements cost Israel money it could've spent elsewhere. That matters because of the economic struggles of her own neighborhood. "Most people here rent; they don't own their own houses," she noted. "It's extremely expensive; it's impossible for our generation. This is part of the reason that 3 1/2 years ago we went to the streets to live in tents." In 2011 Shaffir was not a politician but one of a group of activists who dramatized housing costs by living in a tent city in a street median. It was the year of the Arab Spring and the year of Occupy Wall Street. The Israeli protests spread, demanding change in everything from housing policy to education — but in the end, she feels, not much happened. So she decided to go a step further: she ran for parliament in 2013 and won. She then got herself onto the Finance Committee where, she says, she began to notice that Israel spends a disproportionate share of its budget to support the 3 percent or 4 percent of Israeli Jews who live in West Bank settlements. Much of the spending is obvious if you go to a settlement and see the roads and schools and military protection, but Shaffir said the actual cost is greatly understated in the nation's budgets. She recruited volunteers on Facebook to help investigate hidden subsidies, and contends the money is supporting both settlers and right-wing political organizations. Though she admits she has yet to prove her darkest suspicions, she has made the settlements part of Israel's election debate. "The government, for many years now, has an interest to develop the settlements as a place where the cost of living is lower, and it's more possible to buy a house and live a normal life in economical terms," she said. "That provides a kind of temptation for the nonideological settlers to move and live there." Many settlers would probably move to the West Bank at any price, for they insist that God meant the West Bank to belong to the Jews. 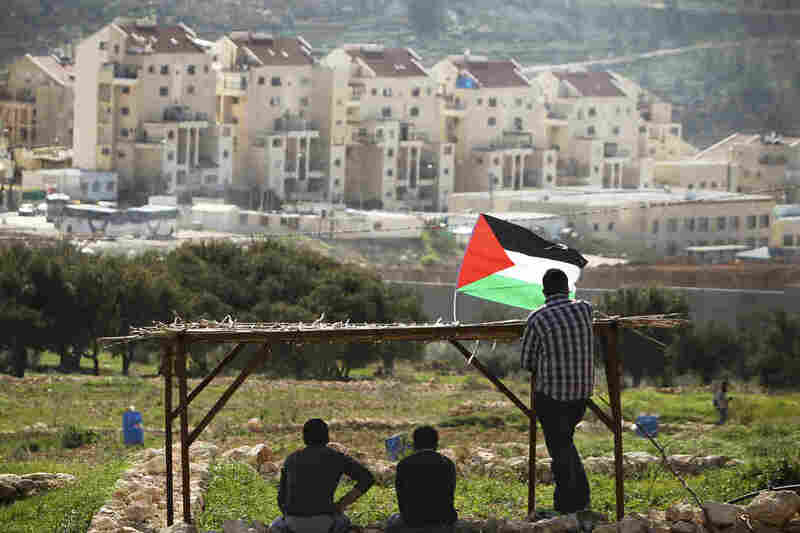 The Israeli settlements began going up shortly after the land was captured in 1967, despite U.N. Security Council resolutions that the developments have "no legal validity" and are an obstacle to peace. The settlements carry deep emotional resonance with Israeli voters, and even Shaffir speaks of them carefully. But Shaffir suspects that government subsidies encourage less-committed settlers, and she objects less directly to the settlements than to their cost — funding she'd rather direct to jobs, public transportation or housing within Israel proper. When questioned, though, she sees a deeper problem in Israel's possession of the West Bank. "Are we heading into a future of peace and security, and securing our future here? Which means we have to separate from the Palestinians, reach an agreement and end the conflict," she said. "Or are we going into a future of separation from the international community, a future of keeping the territory no matter what, but losing our Jewish majority in Israel?" If Israel formally annexed the West Bank, Israel's Jews might in time find themselves outnumbered by Palestinians. As we spoke with Stav Shaffir last week in her sunny Tel Aviv neighborhood, background music began to distract us. A colorfully dressed woman was playing the music as she pushed a crib on wheels, with six babies riding inside. "It's Purim," Shaffir explained with a laugh. Purim is a festival where Jews celebrate their survival from a near-catastrophe in ancient times. They do it by playing music, or by donning Halloween-type costumes, or in some cases by drinking until they can barely stand. Israelis have created a distinct and exuberant culture on the shores of the Mediterranean. Many are now asking how much longer they can sustain it.